Have You Worked with Companies Like Mine? Many of you visiting our website appreciate what you are reading. You like the concepts we focus on. You completely agree that empowering employees to understand financials will result in team members who view the organization more like an owner does, becoming more engaged and having a vested interest in success and profit. Even so, you may still have doubts. That’s great and I agree, you say to yourself, but it just wouldn’t work with my type of organization or in my industry. We understand your skepticism. However, the tremendous success that we’ve helped companies of all types and all sizes achieve speaks for itself. Read on. Another concern was that since Greene County leadership is composed of 20 independently elected officials, no one person could make the decision to go forward with implementing The Great Game. Smith realized that the principles of transparency and financial literacy aren’t just important for running a company. They are necessary for an effective government as well. “Whether you are ‘for profit’ or not, you can’t run an organization if you don’t know your numbers,” he said. Despite the perceived challenges of implementing The Great Game in government, Smith and 50 other people from the county attended one of our workshops. After leaving the seminar, Greene County began implementing team Huddles within two weeks and identified MiniGames™ that could work across multiple departments, even with people who had no control over revenue. Working in close partnership, we were able to come up with solutions for implementation and achieve a complete and positive change in the approach to budget planning and forecasting methods. That’s merely one example, but there are countless other industries we’ve been able to help. Frankly, we have yet to encounter an industry or type of business where the principles of The Great Game don’t apply or can’t help drive success. 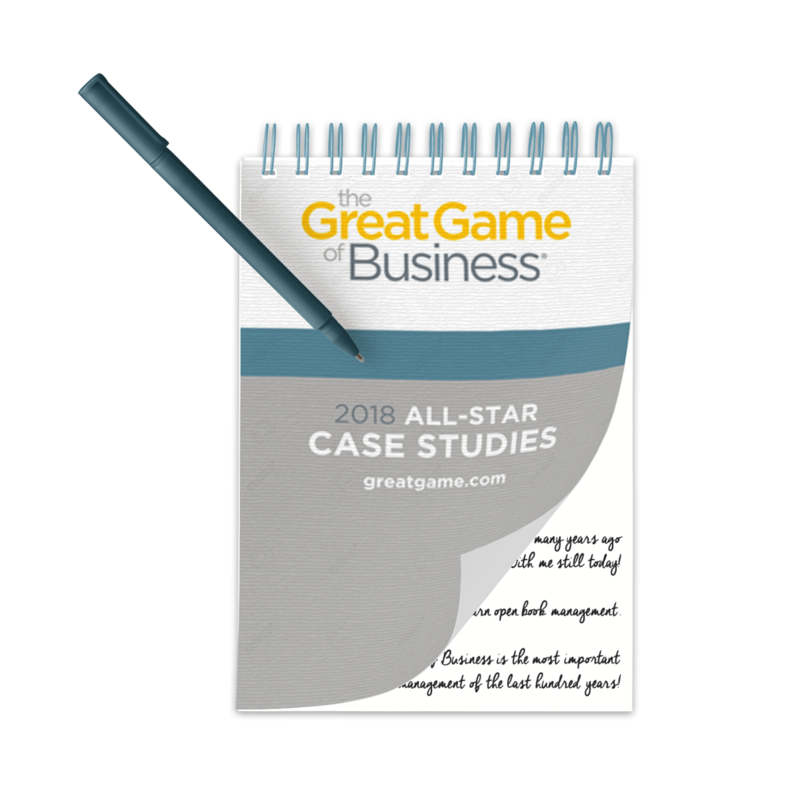 Click on any of the industry specific case studies below to learn more.